When looking at the history of these sectors, I found that David is correct, these areas DO perform much better than the S&P over many years. 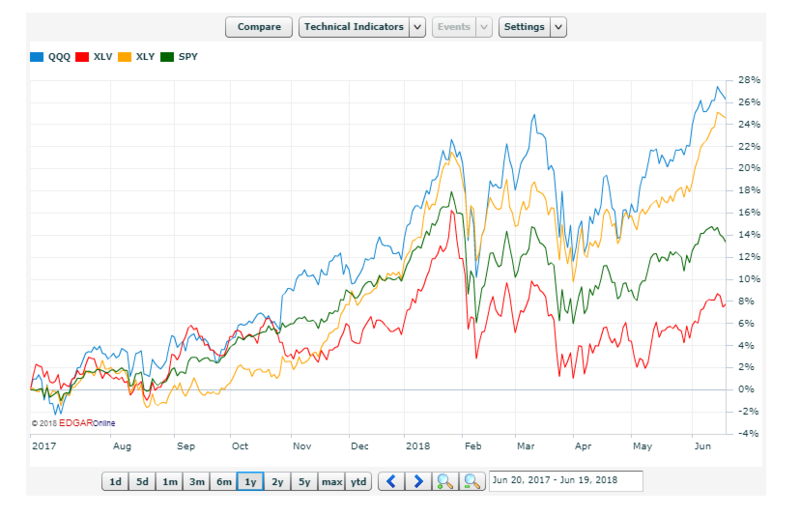 After a quick brainstorm with a colleague, we think the best way to invest in these ETF’s is to choose one of these three which is the most un-loved in the past year. 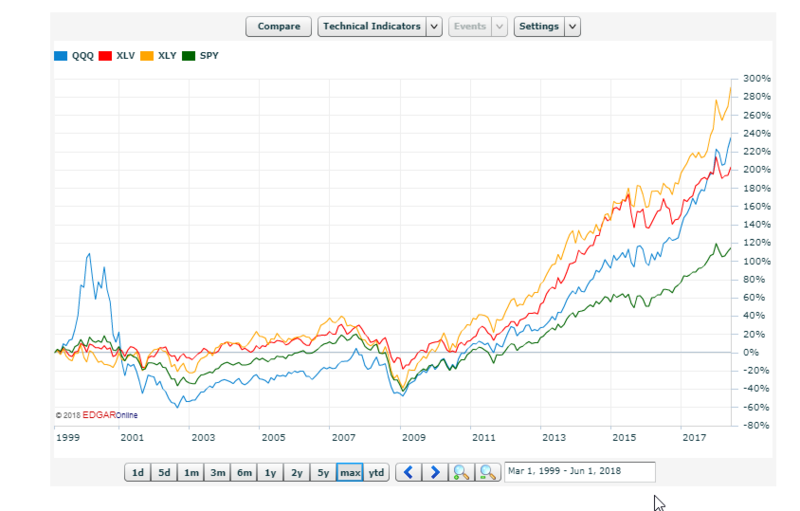 This would mean buying the Health Care ETF XLV may be a good choice during periods where health-care is unloved. That happens to be now.